Need a hobby? Try a hobby kit! 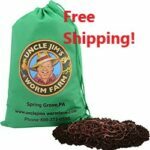 These kits come fully loaded with 500 red wrigglers, bedding, Uncle Jim’s specialized worm feed made from his very own secret recipe, 1 absorbent piece of burlap for retaining adequate moisture levels, and the specially-fitted container for all your worming components! 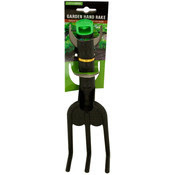 These are perfect for science projects, perfect for class rooms, and perfect for any adventurous individual eager to delve into new and exciting hobbies! Dig in and be a witness to the power of the worms! We dare you! I'm a happy worm mom! 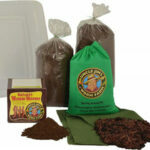 Worms arrived happy and healthy. Thank you. 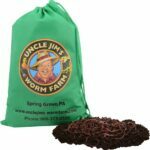 Sadly, my worms died during the 1st delivery and my rake was broken, however, Uncle Jim support team was quick to send me a new batch after I reached out. 5 stars cause I have some happy/healthy wormies. Outstanding customer service. Questions are answered by actual people not a machine. Telephone to and from are done quickly, with care and concern. This strikes me as a classic family run operation. We need more companies like this. Everything is included in this kit. The instructions are foolproof. The worms are doing great! Great Folks to do Business with!! !